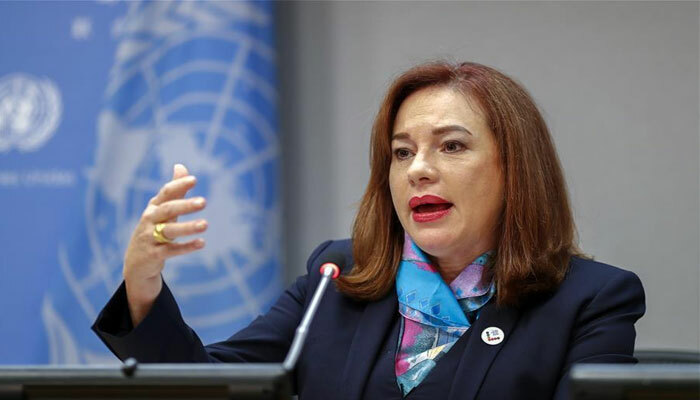 NEW YORK: Maria Fernanda Espinosa, President of the United Nations General Assembly (UNGA) will be paying a visit to Pakistan from January 18 to 22 at the invitation of Pakistani government, the UNGA president spokesperson confirmed. On her visit Espinosa is schedule to meet President Dr Arif Alvi, Prime Minister Imran Khan, Foreign Minister Shah Mehmood Qureshi and representatives of the UN, including that of the civil society. "Travel costs are being covered by Pakistan and by the regular budget of the UNGA’s Office," the spokesperson added. Maleeha Lodhi, permanent representative of Pakistan at the UN, tweeted about the upcoming visit.